To the untrained eye, there is little to no difference between a regular indoor exercise bike and a spinning bike. Yet, the indoor bikes have been around for years, while the spinning bike is the natural progression of those bikes into a more efficient training tool. There are many differences between the two but there most significant are that position which closer matches that of a street bike while using the spinning bike, and the fact that the spinning bike also mimics the inertia you would get while riding on the street. Of course, a bike, indoor or outdoor, is only as good as the type of practice you are using it for, but you also cannot hope to achieve a high performance level with a sub standard bike. For that reason we have tested several dozens bikes ourselves and have talked with spinning instructors, to bring you the following top 10 best spinning bikes of . What follows is a list with the most significant details about each bike, but make sure to also scroll past that list to find our in depth analysis of each bike on that list. 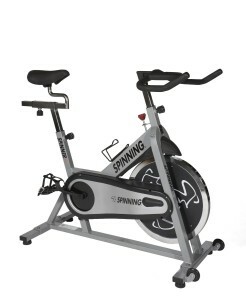 Our favorite spinning bike, by far, is the Sunny Health & Fitness Belt Drive Indoor Spinning Bike. 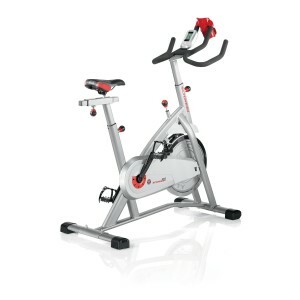 It is produced by Sunny Health & Fitness, the biggest name in spinning bikes, and it is their top of the line model. 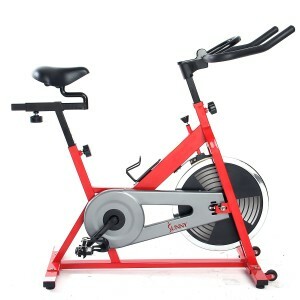 It is not the most expensive spinning bike that we are going to feature, but it is certainly the best. It uses a 49 pounds wheel so it is a guarantee that you will never out train the bike’s capabilities. It also uses a belt drive mechanism, which is more silent and more durable than regular systems, and the quality of the belt itself is similar to that you have on your car’s drive mechanism. In fact there is little more we need to say to describe the quality of the parts and of the workmanship that went into building this spinning bike, except to point out that it has earned a 4.7 star rating on Amazon, despite its relatively high price. We already told you that the Sunny Health & Fitness Belt Drive Indoor Spinning Bike is not the most expensive product on our list. That honor goes to the Sole Fitness SB700 spinning bike, which, despite some minor upgrades, is not really worth the extra expense, unless, of course, if you have money to burn. It has a 48 pounds flywheel and a blue, black lit LCD display, and it is compatible with a wireless chest strap for heart monitoring. These are, of course, not essential for your training but they certainly drive the cool factor of the Sole Fitness SB700 spinning bike up and they may make it worth it for some to spend the extra money. 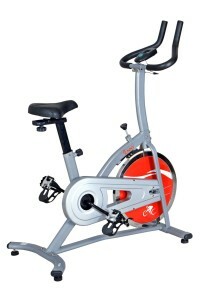 The Phoenix 98623 Revolution Spinning bike is actually our second favorite product on this list. It only uses a 39.6 lbs. fly wheel, so there is chance you will get to reach the strength limits of the bike after a couple of years of training. Still, the thing that drew our attention to the Phoenix 98623 Revolution is the fact that you can pedal both forward and backward and meet the same type of resistance, thus increasing the number of possible exercises you can do with this bike by at least 40%. It has a brake pad resistance system that allows you to perfectly mimic riding up steep heels and the immediately switch to deep valleys scenarios. 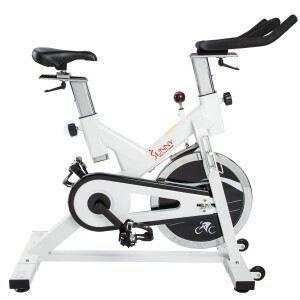 If you are already an accomplished athlete, or you know that you have the strength of will to stay with a training regime to become one, but cannot afford one of the more expensive spinning bikes we have featured so far, the Sunny Health & Fitness Pro Indoor Cycling Bike is the only choice for you. It uses a drive chain mechanism, so it is slightly noisier and, over time, you will need to spray some chain oil on the bike, but it does use a 40 lbs. drive wheel so it will provide an adequate level of support, no matter how good and fast you can ride. The resistance system is fully adjustable, so you do not have to worry about your current level, and you know there is plenty of space for you to grow. The thing that really makes the difference between a spinning bike and a regular, indoor bike, is the flywheel and its ability to simulate the inertia you would feel while riding a road bike. So, even though we think the Sunny Health and Fitness Indoor Spinning Bike is a relatively good bike, we warn you that its light, 22 lbs. flywheel, is a step towards making this a regular indoor bike. You still get enough of an inertia from it to make it a relatively good spinning bike, but make sure not to go much lower than this. 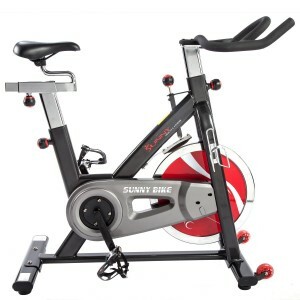 We do have to admit the fact that this is such a much cheaper spinning bike, that you would be forgiven to chose it over the Sunny Health & Fitness Belt Drive Indoor Spinning Bike, especially since it has a 4.4 star rating on Amazon. Although the color of a spinning bike has absolutely no bearing on its performance, we have to admit that it is as much a piece of furniture as it is a piece of sports equipment. 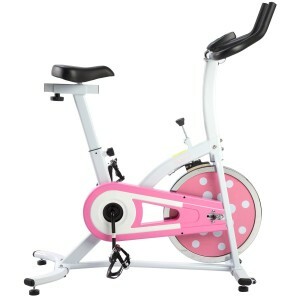 So, if you need a spinning bike that screams femininity, we must admit that the Sunny Health and Fitness Pink Indoor Spinning Bike is a pretty good choice. It has that relatively light 22 pounds flywheel, but you can also get it for peanut money, considering the more expensive products on this list of the best spinning bikes of , so it would make for an excellent choice. And it has earned a 4.7 star rating on Amazon, which does mean a lot in this niche. We have decided to leave the Sunny SF-B1110 Indoor Cycling Bike for one of the last positions on our list, simply because it is an older model. Still, it is well worth noting that it was the top end model for Sunny Health & Fitness a few years ago, as you can tell from the 44 lbs. flywheel and sturdy construction. The one place where we have do deduct some points is that it uses a drive chain mechanism instead of a drive belt, but, on the upside, it has earned a 4.1 star rating on Amazon from almost 70 customers – that is almost as many customers as all the other bikes featured so far have together. We have already talked about the top end spinning bike of the last generation, but what really impressed us was the entry level spinning bike of the past generation. It does not look like much but it does have a 30 pounds flywheel and we would choose the Sunny SF-B1001 over any other entry level bike just for that features. Add to that the fact that almost 200 customers have awarded it a 4.1 star rating on Amazon, and you begin to understand why we think the Sunny SF-B1001 is the dark horse of this race. 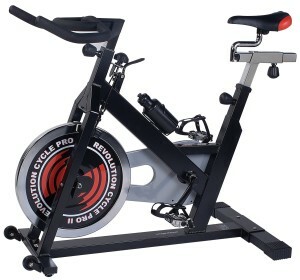 Let us start by saying that we love the 31 pounds flywheel on the Schwinn IC2 Indoor and that is why it is featured on our best spinning bikes list. Still, the moment you get it out of the box, and begin installing it you begin to see the shabby workmanship. 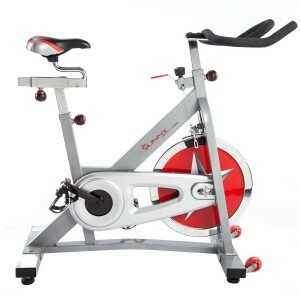 It is a good enough spinning bike for the infrequent home user, but, as the manufacturers themselves state, it is not good enough for a training center. We decided to give the Spinner Fit Indoor Cycle the last spot on our list simply because it really looks and feels like the modern spinning bike you would find in a modern training center. However, its flywheel only weighs 31 pounds, so there are several similar, less expensive options on this list. Still, you need to feel good about the equipment you use, otherwise you may not get the most out of your training sessions.